Contrary to popular belief, being a server in full service eateries is more than about diligent work, remembering the menu items, greeting and uplifting a customer’s dining experience. Once a student with the desire to gain experience, I have learned a few precious things and some insider knowledge throughout my three different experiences working in the food and beverage line. I landed my very first part time job at a chain restaurant in Petaling Jaya back in 2012. On the same day, a customer politely told me how her pasta was “not good at all.” I brought the issue to the kitchen staff, but unexpectedly, he didn’t take the feedback seriously. I could only thank the customer afterwards for the feedback and tell her that the kitchen would highlight the issue. The truth is, sometimes, no one cares what you have to say. If “prepared fresh daily” convinces you about the quality of the food, you may want to hold that thought. I underwent my internship in a 5 star restaurant 4 years ago as both kitchen staff and the front of house. I was all excited and geared up to get behind the scenes on food preparation. The truth left me surprised. 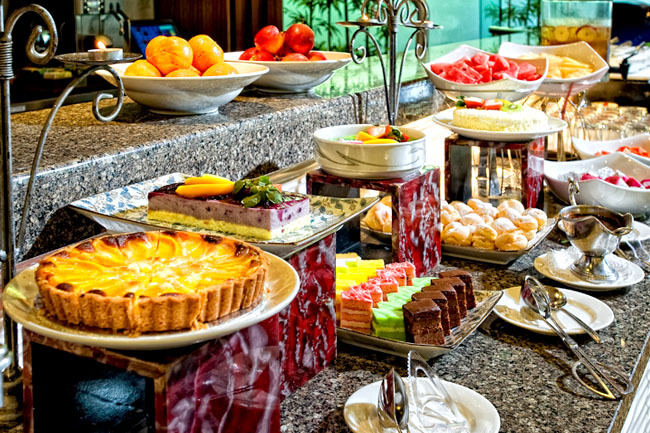 While the pastries and dessert are freshly made, half of the buffet food are straight out of frozen packages, which includes the peanut sauce for the satays. Meanwhile, the sandwiches too were pre-made a day or two prior to selling. The tasks during the post-breakfast buffet were easy but most of the times left me shrouded with guilt. Every single morning during my internship, I had to dispose of the leftovers which was equivalent to one huge round bin, sometimes more. That included the dim sums, porridge, noodles, rice, pancakes, juices — you name it. From the amount of the wastage, it was sufficient to feed to at least another 100 mouths. Employees were not allowed to feast on the unfinished food, but the reasons were not specified. This line of work is energy draining to the point where I sometimes skip my meals and have insufficient sleep. Thus, sickness could visit anytime and when you know you can’t perform well at work, you’ll need a day of break. Catching a flu or a fever? If you’re alive, not admitted to the hospital, you’re expected to be present and perform as you always have. I once called in for a sick leave when my flu was so severe that all I wanted was just a good rest. The next day I was being compared to another colleague who was sick too but could still perform. Not to mention contagion? A holiday is when you generate twice the income than any other day at your workplace as family and friend gatherings are most likely to take place. This simply means they will require as much manpower as possible. Therefore, put your shopping/vacation/resting plans behind because it will not happen. I had to clock in for work on the first day of Raya Aidilfitri back in 2014. Hearing the Raya recitations from the nearby mosque while commuting to work was one of the most dreadful experiences in my life. Customers, especially the first timers, may come with expectations. Sometimes, some eateries provide food packages that come with both food and drinks with cheaper prices. It is our duty as a professional server to explain the available packages clearly on a daily basis, although it is undeniably boring sometimes. However, it grinds my gears when customers ignore the terms and conditions clearly stated, and make ridiculous requests. On the bright side, those questions polished my skills in communicating professionally while building up my patience and tolerance levels. I was promoted to a Supervisor at one of the cafes in Damansara. 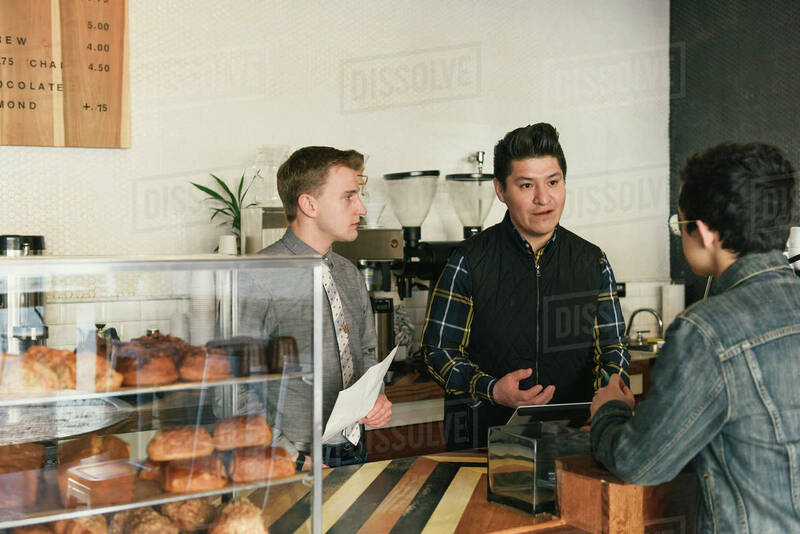 As a supervisor, I needed to train new workers, keep track of the stock, handle customers’ complaints, and basically ensure a smooth operation when my superiors were not present. I never understood at first why I got questioned anytime problems arose. Later, I realized that I may be liable if my colleague(s) commit any mistakes. If I taught them right, it was unlikely for mistakes to appear. But frankly, everyone learns and progresses differently, and it was up to me to figure out how each person operated. Furthermore, my colleagues thought I was being bossy when I was just doing my job. 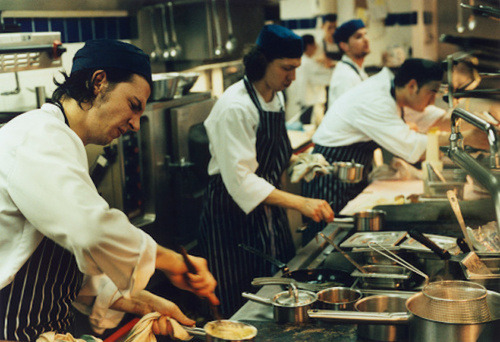 Life in the hospitality industry can be hectic and tiresome, but it’s definitely full of knowledge and experience which may be helpful in polishing our communication and leadership skills. It is definitely not “unreal” and a lazy job as society tends to perceive it. To customers, are these facts shocking to you? To those in the hospitality industry, do you feel me, and perhaps have more to add? Student, amateur barista, fan of DC Comics. Always believe that experience is the best teacher.